New York was interesting.London was refreshing. Milan was classic. But Paris, Paris was amazing. The last one of the fashion weeks, Paris fashion week must have been the best. So many historic fashion houses revealed their collections for next season, and most of them were breathtaking. My favourite has to be SAINT LAURENT PARIS, where Hedi Slimane literary read my mind and transformed it in a collection. Others were some of my all time favourites like Valentino, Chloe,Givenchy and Dior. September has been a tough month for the fashion world and now -for the most of us- its time for some relaxing in a spa or a detoxing diet. For me though, its time for more work, but the kind of work that makes your dreams come true, one step at a time. Last but not least, you should know next seasons trends. Tailored blazers , ruffles, clean lines and above all luxury.The pelum trend might stay strong as well. Its time again to play with all the colors, the materials, the shapes. But even though the new fashion is amazing, one must never forget to have a personal style. Like our great teacher Coco said “fashion passes, style remains”. My friend! I was missing you update! 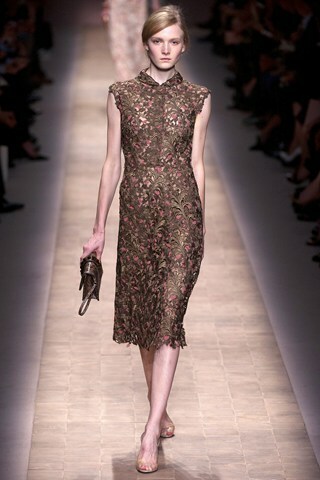 Love Valentino al Chloé Collections! Saint Laurent forever kai as ekraxan ton Hedi gia ti sillogi!!! fusika! latrepsa ti collection tou hedi, pragmatika uperoxi! An mpeis sto site ysl.com sto online shop kapoia pragmata opos ta accessories den trelathika kiolas, alla o anthropos einai super talantouxos sta rouxa! Absolutely breathtaking. I loved Galliano, SLP and Balmain as well.